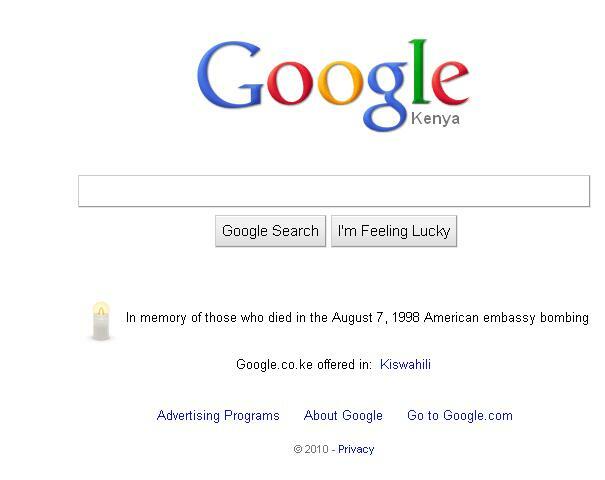 Google kenya, has today placed a message on their homepage, to remember the August 7th bomb victims at the former American Embassy in Kenya. Kenyans are today commemorating the 7th August bombings at the former American Embassy venue that went down with so many Kenyans and Americans in a car bomb that exploded to take down the whole building plus wrecking adjacent buildings. Many lost their relatives and scores were injured in the process. We at techweez also would like to send condolence to those who lost their loved ones.